The new year is just heating up, but experts say the housing market may finally start to cool down in 2019. Here's what you can expect. WASHINGTON — The new year is just heating up, but experts say the housing market may finally start to cool down in 2019. 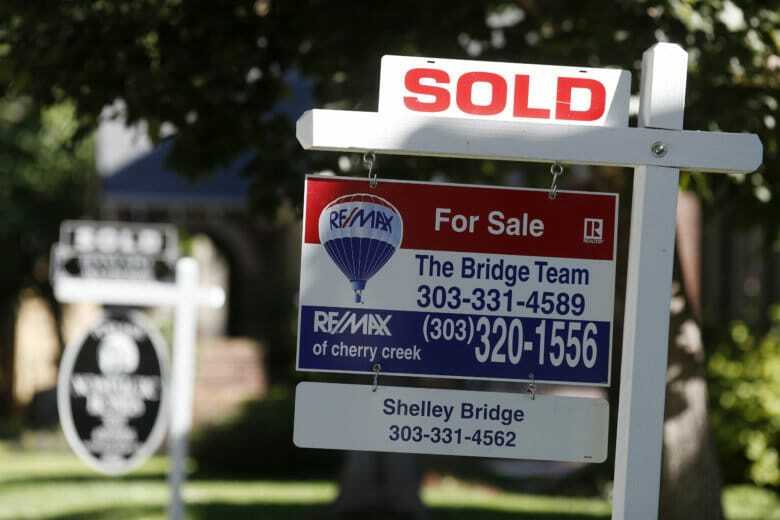 “For the last several years, we’ve seen really frenzied home buying and prices tracking skyward, and I think in 2019 we’re starting to see a little bit of a shift,” said Cheryl Young, senior economist with the housing website Trulia. Home prices are still on the rise, but Young said they’re climbing at a slower rate. Even still, affordability will be a deterrent for many homebuyers in 2019, due to high prices and a “really tight” housing inventory. “We don’t see a big infusion of supply coming on any time soon, and because those prices are still increasing and they’re outpacing wage growth, affordability is actually still getting worse, and that might finally slow down some home buying activity,” Young said. Mortgage rates are another major player in market projections for 2019. Last year, rates reached a seven-year-high. While they’ve since dropped, Young expects they will “go up a little later this year,” making homeownership even more challenging for those on a budget. “If you can imagine people who are looking to buy a home and looking to lock in a mortgage, a fixed-rate mortgage, and [rates go] up, they know they’re going to be spending more every single month on housing,” said Young, who added that increased mortgage rates may put some “downward pressure” on home prices. As those in the millennial generation age into their 30s, more will enter the housing market. Student debt, which gets in the way of saving for a down payment, continues to be a hurdle for homeownership with millennials, but Young said the generation is, and will continue to be, the largest cohort jumping into the real estate market this year. According to data from realtor.com, millennials account for 45 percent of mortgages, compared to 37 percent of Gen-Xers and 17 percent of boomers. Sellers have held the upper hand for several years now — “There was a lot of competition, not a lot of supply, so if you were a seller, you were in really good shape,” Young said — but in 2019, their power will likely lessen. Citing a recent Trulia survey, Young said Americans have a more pessimistic outlook on selling a home this year, compared to last. “And I think that’s really closely related to the fact that home-price growth is starting to slow, and those other indicators in the housing market with home sales dropping, those are the things that are making sellers a little bit more circumspect,” she added. Young’s best piece of advice for buying a home in 2019 is to “prepare, prepare, prepare.” If you are saving for a down payment, keep at it; if you need to increase your credit score to qualify for a mortgage and get the best rate possible, do it. And when you’re ready, Young said reach out to a local real estate expert. “We have to remember that it’s still really tough right now in the housing market. Even though there have been signs that competition has been slowing down, you have to be realistic,” Young said.